Stay at this Plzen hotel in the Czech Republic ideally situated near the city centre. The Best Western Hotel Panorama is conveniently located in a quiet area in Plzen near the city centre and easily accessed by tram. Hotel guests will have easy access to key area attractions including the Pilsener Urquell Brewery, for which Plzen is famous and the historic Republiky Square displaying beautiful architectural styles. The hotel is also centrally located to the German/Austrian borders. This pleasant, modern hotel offers spacious, well-appointed rooms featuring all the right amenities to make any stay more comfortable while in the Czech Republic. Hotel guests will enjoy dining and relaxing in the cozy restaurant and terrace offering panoramic views of the city after a day of sightseeing or working. Other hotel amenities include a sauna and free, secured parking. 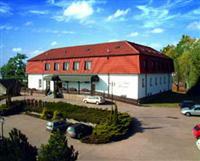 A professional and courteous staff is ready to ensure a comfortable and memorable stay in Plzen. Make an online hotel reservation today at the Best Western Hotel Panorama!